Volcano eruption blasts new Skylanders and the opponent appart. 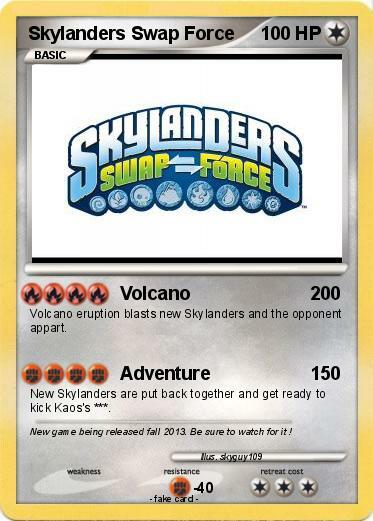 New Skylanders are put back together and get ready to kick Kaos's ***. Comments : New game being released fall 2013. Be sure to watch for it !